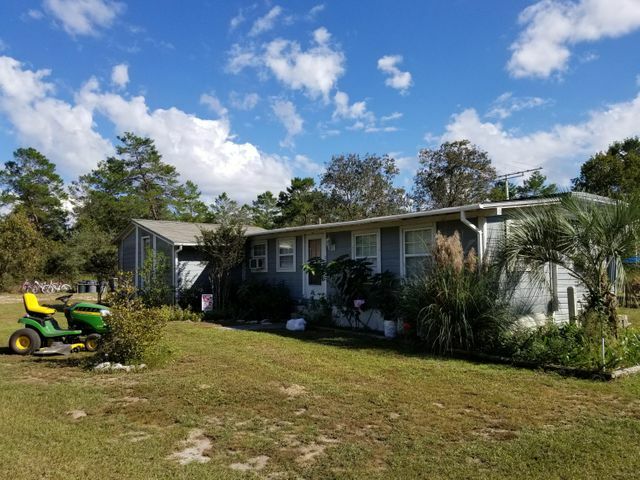 Three Bedroom 1 Bath home situated on a large 4.92 acre lot. Septic, public water, cable and electric present and active. Large covered rear pouch. Two additional storage buildings with plenty of space to grow. Fenced Sides and rear of property. New Above ground pool. Home is almost centered on lot. Perfect site to build a new home or add to existing. No HOA fees. Just minutes away from Publics and Freeport. 35 minutes to beautiful sugar white beaches of the Emerald Coast.